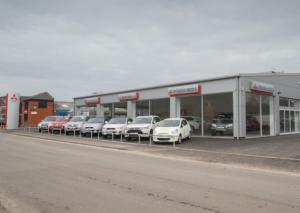 A family-run car dealership business based in Alnwick has expanded with the opening of a brand new Mitsubishi dealership in Mopeth. Blackshaws, which has been in business for nearly a century since 1919, already runs a successful Nissan and Suzuki dealership from its showroom in Lionheart Enterprise Park in Alnwick. The new site in Mopeth is based at Coopies Lane Industrial Estate. Five jobs have been created in the process, and the company hopes to take on apprentices in the summer if business conditions are favourable. If your business is expanding or refurbishing, you may well be thinking about adding more stock or higher priced vehicles to your showroom. If that’s the case, you must check both your motor trade insurance and your road risks insurance policies, so you are completely covered at all times. William Blackshaw, a fourth-generation member of the family to work at the franchised car dealer, said: “From a business point of view, this will help us to grow and from a personal perspective, it has always been an ambition of mine to open something myself.